After over 25 years in the business, SMS has stood the test of time. But it begs the question – where to next for the world’s most popular messaging platform? In recent years SMS has faced competition from instant messaging services such as WhatsApp, WeChat and Facebook Messenger. However, the widespread accessibility of SMS and the many business solutions provided by an SMS gateway will ultimately see it triumph against these applications. In 2018, there are now 5.1 billion mobile phone users across the globe. 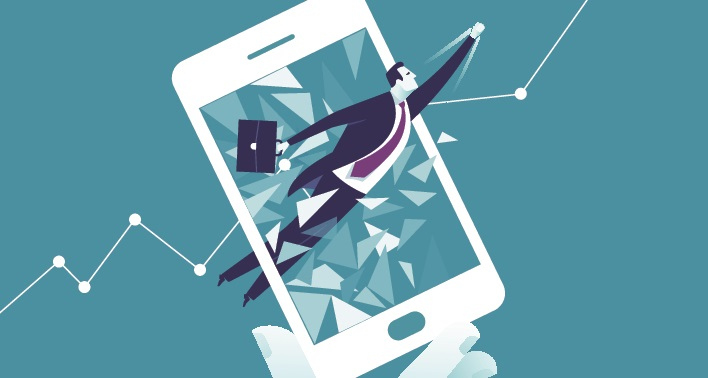 As mobile penetration continues to grow, SMS will too. So, what’s next for our favourite messaging service? More businesses are using an SMS gateway than ever before – and it’s easy to see why. 75% of millennials prefer to communicate via SMS about appointments, coupons and deliveries. With A2P messaging becoming so popular amongst young adults, it’s likely that this trend will continue for future generations as traditional methods such as emails and calls become outdated. Unlike instant messaging services, communicating via an SMS gateway doesn’t require any additional downloads and is available on every mobile device. For this reason, A2P will remain as the go-to platform for businesses looking to connect with consumers via their mobile device. As a business, A2P messaging makes communicating with customers easy. SMS software allows businesses to manage large contact groups, implement automation and integrate with existing software. These great features are why A2P messaging will continue to rise in popularity. Rich Communication Services (RCS) is widely regarded as the future of SMS messaging, with commercial rollout expected later this year for Android devices. RCS will bring the same great aspects of SMS (fast, direct, reliable carriers and widely accessible) and combine it with a more interactive platform featuring actionable buttons and read receipts. Currently, there are over 50 providers supporting RCS across 40 countries with this number expected to rise throughout the remainder of the year. Until the official commercial release of RCS, it's difficult to predict how it will be received. Mobile Ecosystems are forecasting that by the end of 2018 there'll be 874 million RCS users, representing 17% of all mobile users worldwide. Many businesses are expected to expand their SMS solutions with the eventual adoption of RCS. With a more immersive platform, businesses will be able to use RCS to confirm appointments, send video/audio clips, exhibit their own branding, make purchases and more. It may be a slow start, but as more carriers jump on board we expect RCS will be the way of the future for mobile business marketing. As each year goes by businesses continue to surprise the world with new innovative ways to use SMS. Sweden began using SMS to thank blood donors for their donation as well as a sending them a message when the blood was used to save someone’s life. This strategy helped increase their donor numbers at a time when donations were at an all-time low. 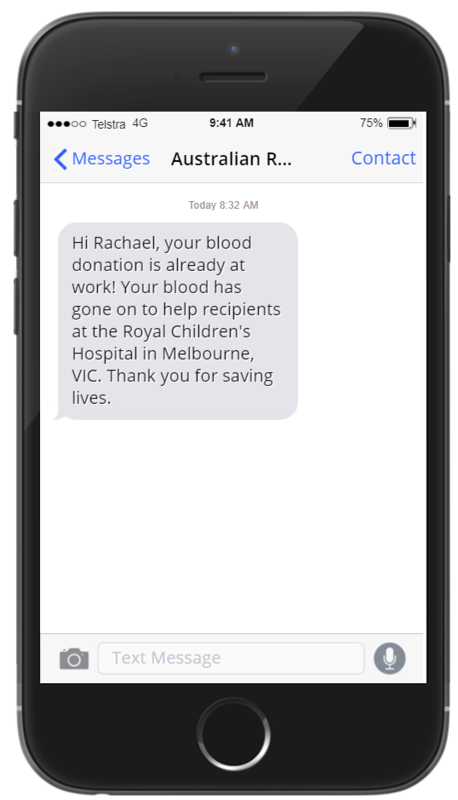 Following Sweden’s success, the Australian Red Cross have begun using an SMS gateway to let blood donors know when their donation saves lives. This SMS campaign encourages recipients who haven’t made a new booking yet to donate again. UNICEF Australia became one of the first charities to implement donations via SMS when they partnered with the Telco Together Foundation. Users simply had to text ‘SAVE’ to a dedicated number to donate $5 to UNICEF. High schools and primary schools have also realized the potential of SMS, with many now using SMS to disperse results, important dates and even communicate with parents during emergency situations. It’s just one of many creative ways that businesses are using SMS to improve their communications. The next innovative SMS solution is just around the corner – and it could be yours! 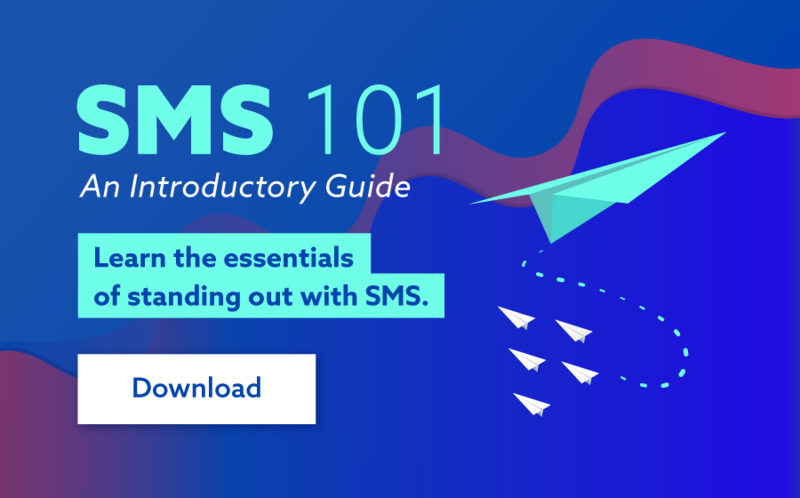 Get in touch with one of our SMS specialists on 1300 883 400 or visit www.smsglobal.com to find out how your business can use SMS.